Described as a “superior instrumentalist and intelligent, tasteful musician” with “beguiling playing,” cellist Louise Dubin is an active recitalist throughout the US. She has performed recently at Garth Newel, BargeMusic, Caramoor, Piccolo Spoleto, the Kiawah Recital Series, and the Savannah Music Festival Sensations Series. She has also performed in Zankel Hall and Chicago’s Symphony Hall, and throughout the US, as part of Stefon Harris’s African Tarantella nonet. 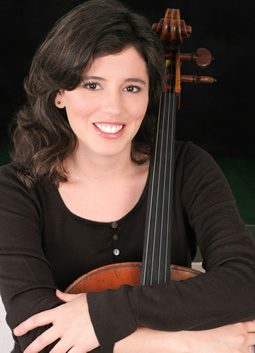 Ms. Dubin has served as Principal Cellist of the Charleston Symphony, the Auckland Philharmonia, and as guest principal cellist of the Swedish Chamber Orchestra. She has appeared as concerto soloist with the Charleston Symphony, the Auckland Philharmonia, and the South Orange Symphony Orchestra. Ms. Dubin earned her bachelor’s degree in English from Columbia College while studying the cello at Juilliard with Aldo Parisot. Her other principal teachers were Tim Eddy, and most recently Janos Starker at Indiana University, where she received the Eva Heinetz scholarship and two university grants for her doctoral research on cellist Auguste Franchomme conducted in France.